WASHINGTON, D.C. (March 26, 2019) – Omega Psi Phi Fraternity, Inc., has joined the National Association of Black Journalists (NABJ) in its call for changes in the hiring practices of black news executives at CNN. Omega Psi Phi has more than 750 chapters throughout the United States, Bermuda, Bahamas, Virgin Islands, Korea, Japan, Liberia, Germany and Kuwait. The organization’s full statement is available here. 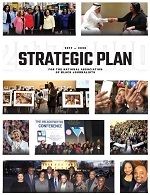 The Omegas join the NAACP, Congressional Black Caucus, Color of Change, National Newspaper Publishers Association, and Alpha Phi Alpha Fraternity, Inc., in supporting NABJ’s request that CNN improve its diversity efforts and the number of black executives within CNN’s news leadership, and for a civil rights audit of CNN by parent company AT&T. These organizations represent millions of black and brown voices worldwide. NABJ has also placed CNN on a special media monitoring list to review and provide reports on progress or the lack of progress toward diversity efforts. NABJ has also requested a meeting between NABJ’s four-person delegation and CNN leadership, however, the meeting request has been denied for several months by President Zucker due to unrelated personal issues, which NABJ maintains is a distraction from dealing with the important issue of diversity. While President Zucker has been quoted publicly in recent weeks acknowledging the need to diversify the news ranks at CNN, and WarnerMedia announced the creation of a company-wide diversity and inclusion position last week, NABJ has yet to receive an official CNN response following a request to confirm its preliminary research findings. In addition to the CNN meeting request, NABJ also has a separate invitation request for a meeting with AT&T executives that has not been answered. 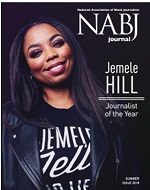 The National Association of Black Journalists (NABJ) is an organization of journalists, students and media-related professionals that provides quality programs and services to and advocates on behalf of black journalists worldwide. Founded by 44 men and women on December 12, 1975, in Washington, D.C., NABJ is the largest organization of journalists of color in the nation.